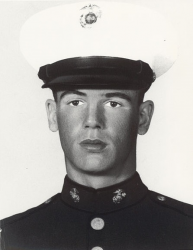 Lance Corporal Lester William Weber (30 July 1948 - 23 February 1969) was a U.S. Marine who was posthumously awarded the Medal of Honor for his heroism during the Vietnam War. Lester William Weber was born on 30 July 1948, in Aurora, IL. 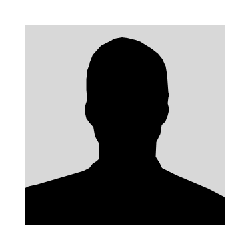 He graduated from St. Isaac Jogues Grammar School in Hinsdale, IL, in 1962, then attended Hinsdale South High School for two years. He left high school to enlist in the U.S. Marine Corps Reserve in Chicago on 30 September 1966. He subsequently enlisted in the Regular Marine Corps on 23 January 1967. He completed recruit training at the Marine Corps Recruit Depot, San Diego, CA, in March 1967. After he transferred to Marine Corps Base Camp Pendleton, CA, he received individual combat training with Company Z, and weapons special training with Weapons Company, 3rd Battalion, 2nd Infantry Training Regiment. He was promoted to Private First Class on 1 June 1967. Weber was ordered to the Republic of Vietnam in July 1967. 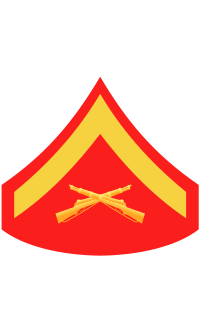 PFC Weber was assigned duty as an ammunition carrier and squad leader with Headquarters and Service Company, 3rd Battalion, 7th Marines, 1st Marine Division. He was promoted to Lance Corporal on 1 November 1967. In January 1969, he assumed duty as squad leader with the 2nd Platoon, Company M, 3rd Battalion, 7th Marines. On 23 February 1969, while participating in a search and clear operation in the Bo Ban area of Hieu Duc District in Quang Nam Province, he was killed in action. Lance Corporal Weber had completed a normal tour of duty in Vietnam and had extended for six months. For conspicuous gallantry and intrepidity at the risk of his life above and beyond the call of duty while serving as a Machine Gun Squad Leader with Company M, Third Battalion, Seventh Marines, First Marine Division, in action against the enemy in the Republic of Vietnam. On 23 February 1969, the Second Platoon of Company M was dispatched to the Bo Ban area of Hieu Duc District in Quang Nam Province to assist a squad from another platoon which had become heavily engaged with a well-entrenched enemy battalion. While moving through a rice paddy covered with tall grass, Lance Corporal Weber's platoon came under heavy attack from concealed hostile soldiers. He reacted by plunging into the tall grass, successfully attacking one enemy and forcing eleven others to break contact. Upon encountering a second North Vietnamese Army soldier, he overwhelmed him in fierce hand-to-hand combat. Observing two other soldiers firing upon his comrades from behind a dike, Lance Corporal Weber ignored the frenzied firing of the enemy and, racing across the hazardous area, dived into their position. He neutralized the position by wresting weapons from the hands of the two soldiers and overcoming them. Although by now the target for concentrated fire from hostile riflemen, Lance Corporal Weber remained in a dangerously exposed position to shout words of encouragement to his emboldened companions. As he moved forward to attack a fifth enemy soldier, he was mortally wounded. Lance Corporal Weber's indomitable courage, aggressive fighting spirit and unwavering devotion to duty upheld the highest traditions of the Marine Corps and the United States Naval Service. He gallantly gave his life for his country. Lester W. Weber's name can be found on the Vietnam Veterans Memorial on Panel 31W, Row 029. A memorial stone honoring Lester W. Weber was set in the ground near the northwest corner of the St. Isaac Jogues Grammar School near the school's flagpole and dedicated on 25 May 2003. The Marine Barracks at Naval Air Station North Island in San Diego, CA was named Weber Hall to honor his memory.